Are you a fan of skiing? Here is a list of ski resort’s, most of them are very close to Ljubljana. Krvavec is situated in Municipality of Cerklje, 25 km from Ljubljana and 8 km from Ljubljana airport. You can find more info about the location here. Krvavec offers a wide range of activities – 30 kilometres of well maintained ski runs, ski school, ski rental and services, snow park for snowboarders and skiers who are interested in doing tricks, night sledding, snowbiking and other activities like snow-shoeing, air boarding etc. You can buy different packages and enjoy on the snow. Cerkno also offers a wide range of activities in all seasons. Cycling, hiking, paragliding, horseback riding, paintball and of course skiing. 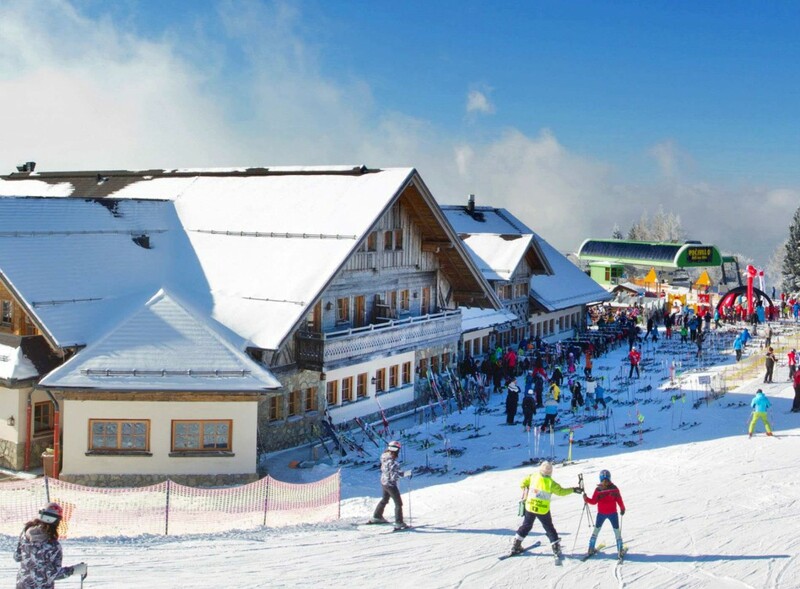 The Ski Resort Cerkno is situated at the margin of the region Gorenjska, one hour and a half drive from Ljubljana and it is the most modern ski resort in Slovenia. There are also many activities for children. Do you want to learn how to ski? They also have a ski school. If you don’t have your own ski equipment you can hire it there. At the top od the Ski centre you can find a self-service restaurant. Many people say that Golte are one of the most beautiful ski centres in Slovenia. They offer 12 kilometres of pistes adjusted for all ski levels. You can also try cross-country or backcountry skiing or visit fitness center and enjoy in their wellness. Golte are also located just one hour drive from Ljubljana. 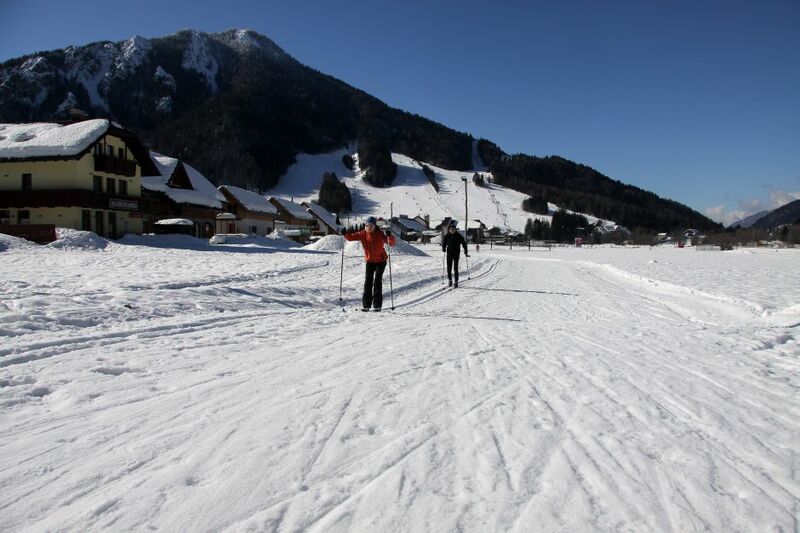 In Kranjska gora you can choose between 18 ski slopes, you can also go cross-country skiing, enjoy in the snow park, go sledding and snowshoeing, snowboarding, ski touring, ice climbing or spend time in igloo village. There you can get a cosy sleep on an ice bed where you won’t feel cold. Even though you’ll be lying on the snow, sheep skins and sleeping bags will keep you warm. Kranjska gora is located just one hour drive from Ljubljana. In Rogla you can also enjoy in summer and winter time. You can go skiing and snowboarding, cross-country skiing, snowshoeing and they also offer wide range activities for children. If you are an adrenaline junky, you can also enjoy in their fun park – polygon for snowboarders and and free-style skiers. Rogla is situated 1 hour and 40 minutes drive from Ljubljana. We hope you will find a perfect ski slope for your taste. As you can see all the ski resorts mentioned are not far from Ljubljana so this can be a perfect one day trip. You can contact us and we will help you organise your days spent in Slovenia. Check out our dorms and private rooms and reserve your bed or room for your stay in Ljubljana. This entry was posted in H2ostel Blog, Travel tips and tagged children, cross country skiing, Ljubljana, ski resorts, Skiing, Slovenia. Bookmark the permalink.